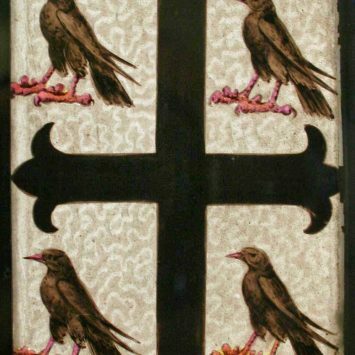 A stained glass window produced for Sir Robert Willames Vaughan, 2nd Bart. 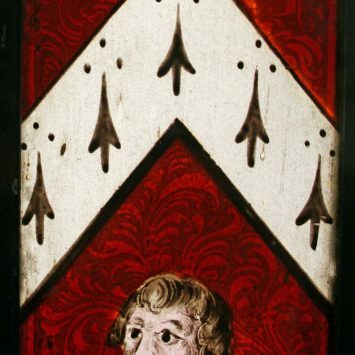 The stained glass window was produced for Sir Robert Willames Vaughan 2nd Bart (1768-1843) and it commemorates the union in marriage between Sir Robert 2nd Bart and Anna Maria Mostyn, sister and co-heiress of Sir Thomas Mostyn, 6th and last baronet of Mostyn. 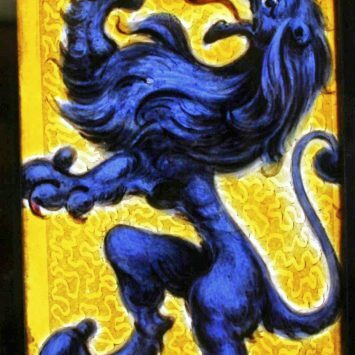 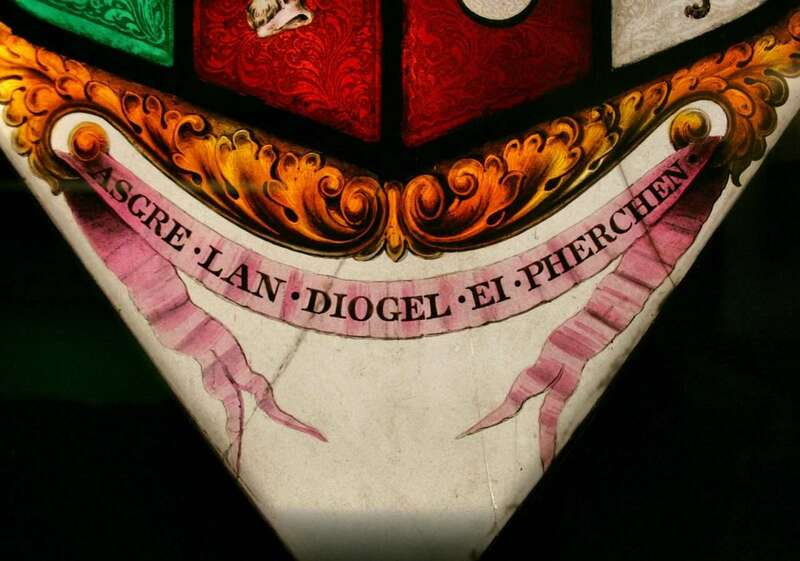 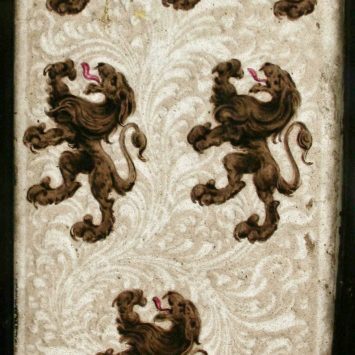 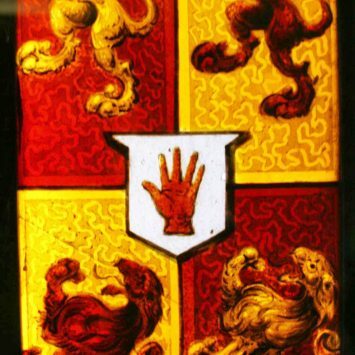 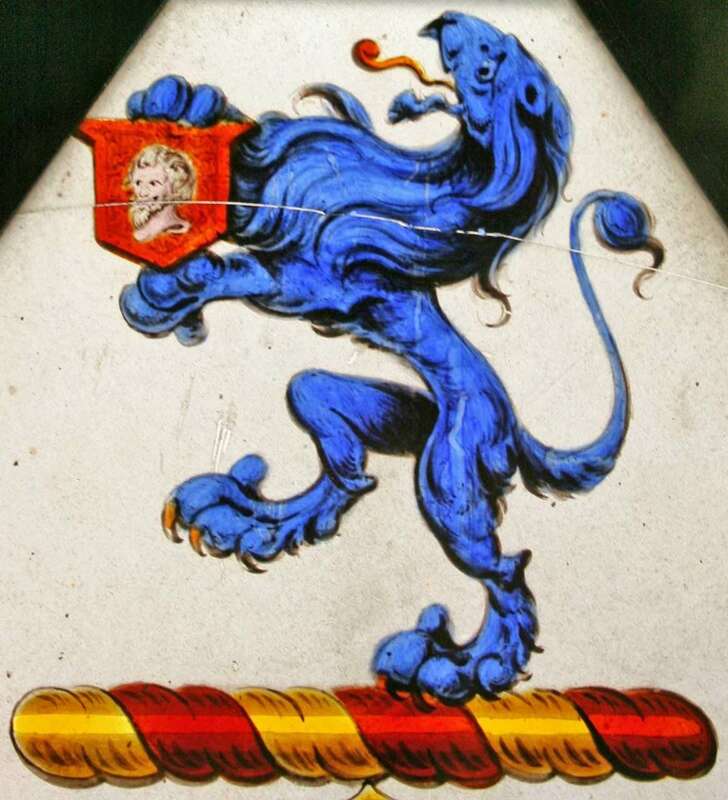 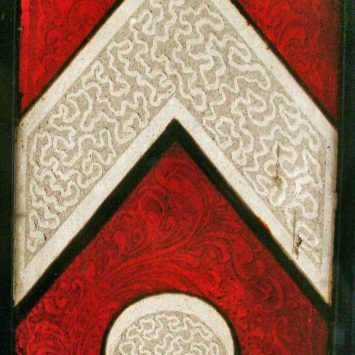 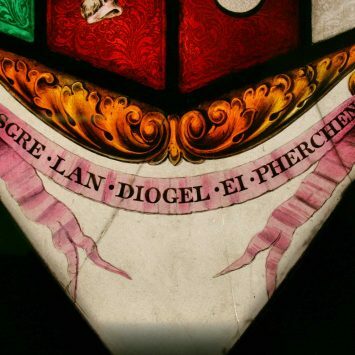 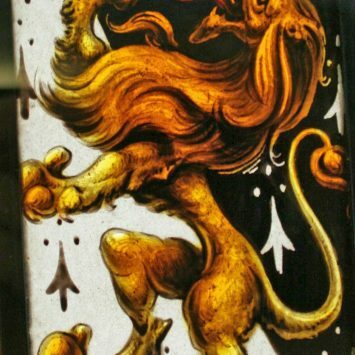 This stained glass armorial was displayed on the staircase window at Nannau for 150 years. 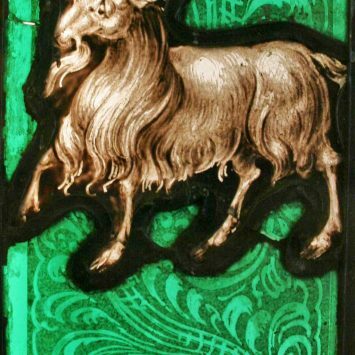 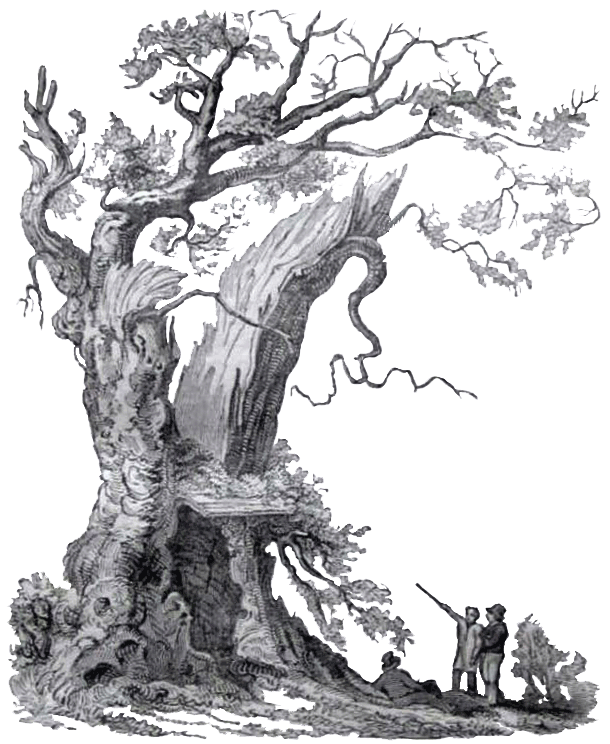 Another version was made for Meifod Church – the Vaughans owned Ystum Colwyn estate in Meifod (Montgomeryshire) up until the mid-1800s. 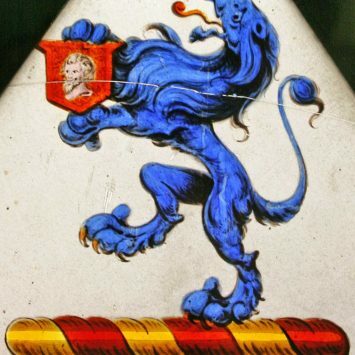 The armorial photographs are courtesy of Philip Nanney Williams – nannauhistory.com. The photograph was taken at the wedding reception of Miss Molly C. V. Vaughan and Mr Ian. 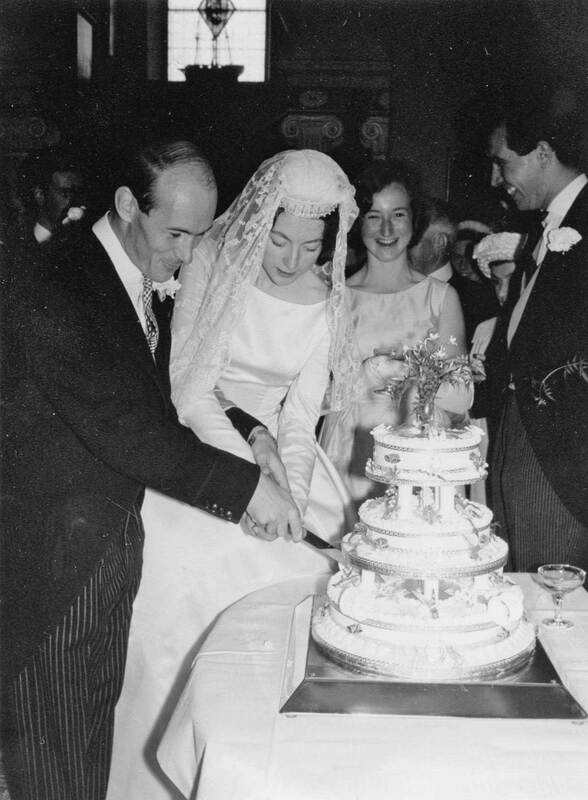 H. Davies, at Nannau in 1962. 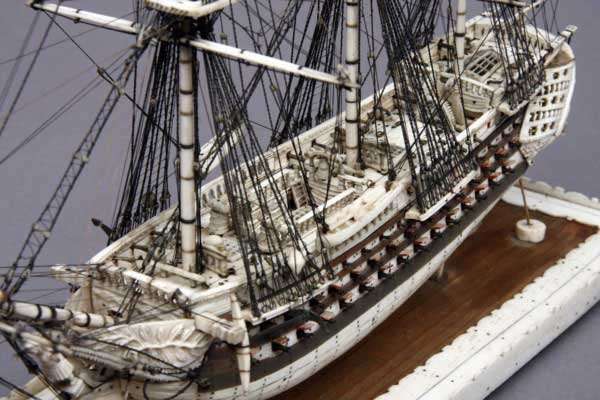 The armorial is seen in the background on a staircase window at Nannau with the ship made by prisoners of the Napoleonic wars below it (see picture of the ship below).